All the fighters slated to participate in tomorrow night’s “UFC 192: Cormier vs. Gustafsson” event tipped the scale Friday inside Toyota Center in Houston, Texas. 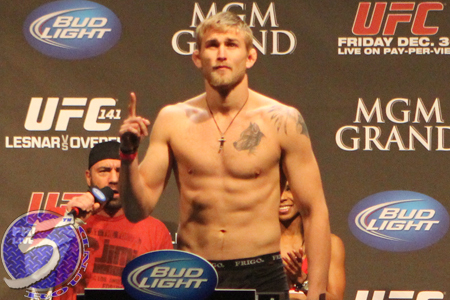 Alexander Gustafsson (pictured) gets another crack at the light heavyweight crown when he challenges champ Daniel Cormier in tomorrow’s main event. Fellow 205-pounders Rashad Evans and Ryan Bader are the show’s co-featured attraction. * – 160-pound catchweight bout after Trevino missed weight, forfeits 20 percent of purse to Northcutt.